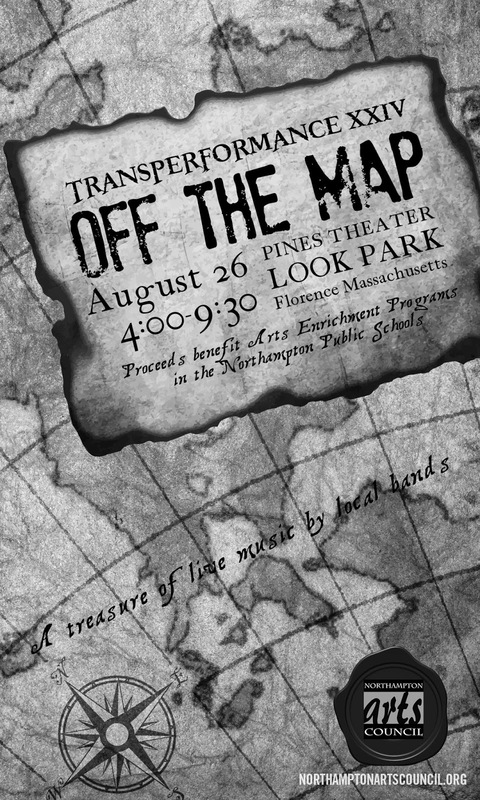 The Northampton Arts Council is pleased to announce this year's Transperformance theme, "Off The Map.” As always the most anticipated end of Summer event in the Pioneer Valley will be on the last Tuesday of August (the 26th to be exact) at the mighty Pines Theater in Look Park. We look forward to your interpretations of this theme, as well as your suggestions. The obvious choices would be geographical locations, but we certainly are open to modes of transportation and directions. Please join us at a networking opportunity at the Parlor Room in Northampton on May 22nd from 5 PM to 8 PM. Our hope is to offer an opportunity for you to express your ideas and thoughts for the event we have all come to love so much. Contact Steve Sanderson with questions arts@northamptonma.gov or 413-587-1269.